(LWI) - Chad in central Africa continues to receive refugees from surrounding countries experiencing civil war, including the Central African Republic (CAR). Not but all who come to Chad are refugees, many are returnees – Chadians who decades ago moved to CAR for work, and have been forced back by the ongoing violence. One of them told LWI his story. 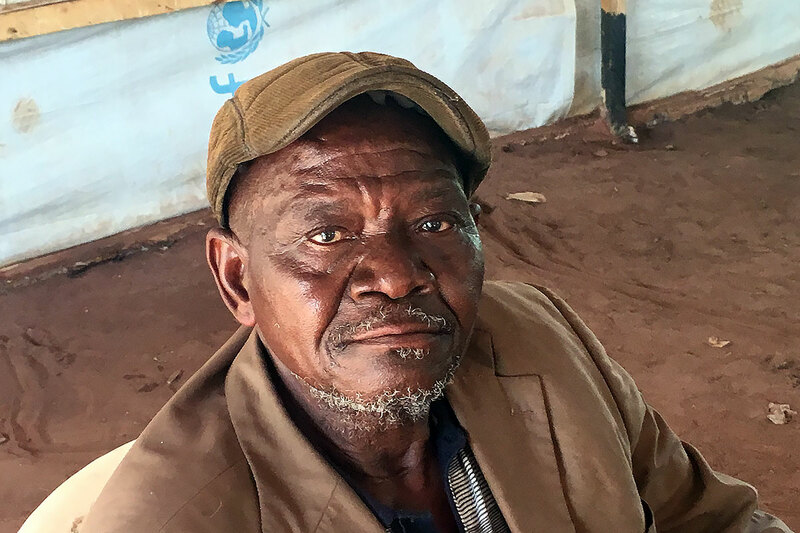 When Hassan (name changed) fled the violent conflict in Central African Republic (CAR) that killed his wife and 10 children and returned to his home country Chad in 2014, he was barefoot, and had lost everything – even hope. Hassan lived in Berberati, the third largest city of CAR. 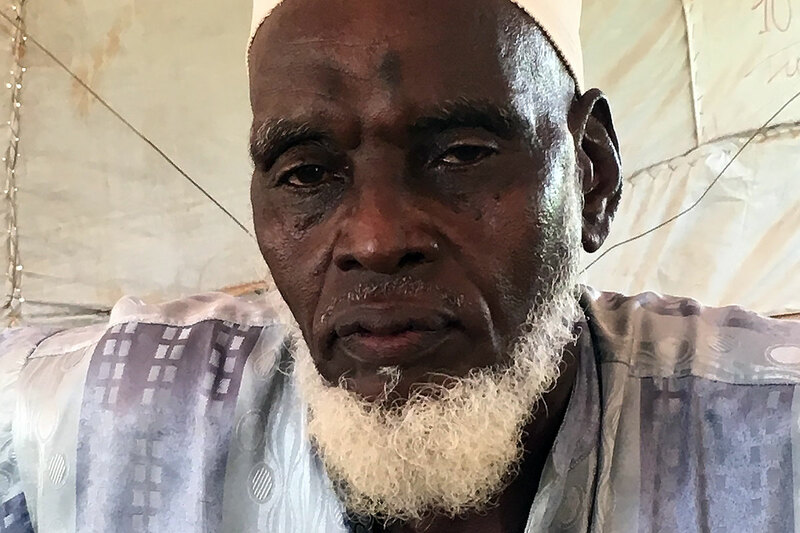 When heavy fighting broke out four years ago, he was sent to Danamadja, a village located in Southern Chad near the border with CAR, where he arrived at a site for returnees. However, Danamadja renewed Hassan’s sense of hope, especially when he saw how the The Lutheran World Federation (LWF) provided support to them and created a local conflict management committee which he decided to join. “It was wonderful to see how the LWF started implementing several livelihood activities together with the host communities and returnees,” the Chad returnee said. “Agriculture production, income generation activities, livestock production together with giving attention to how to live together more peacefully has contributed to the wellbeing of people in this area,” he added. Moussa, the chief of Danamadja village, explained that in 2014 the authorities asked him to host Chadian returnees coming from CAR. When the first returnees came, the rainy season had just started and many Danamadja community members welcomed them and shared their harvest with them. Soon after the returnees also started helping the local people by working on the land. Later, with support of the LWF more land was prepared to start cultivating together. Today there are 12,000 returnees in Danamadja, most of them are considered Chadian. They were born, grew up, and started building their lives in the CAR before fleeing to Chad due to the violent conflict. The 12,000 returnees have now been resettled in a zone with 28,000 CAR refugees. Earlier this month, there were reports that, again, civilians in CAR are paying a heavy price because of clashes between armed groups in CAR, including Revolution Justice and the Mouvement de la libération de la Centrafrique. The conflict has displaced more than 60,000, with unknown numbers fleeing into the bush and 15,000 crossing the border into Chad. Humanitarian assistance was provided through food distribution, healthcare and temporary housing. The LWF has been working with returnees for several years and in communities, such as Danamadja, LWF has provided training and agricultural tools to improve the livelihoods for both returnees and host community members. Danamadja’s chief Moussa, together with 10 men and 10 women, set up a tree nursery to protect the environment. The revenues have been shared among the group members but also put into a community saving box in case they need to fix fences or buy materials. In addition, a group of 23 women, including widows who lost their husbands in the CAR conflict, worked to transform peanuts into products like salted snacks. The LWF organized training programs, and directly after that women started producing snacks and selling them. They opened their own shop and have a lot of new ideas for the future. They are positive about the future now. Hassan shares his enthusiasm when he talks about the LWF involvement in his new village. “The peace-building activities, like the establishment of conflict management committees did not cost a lot of money but it was so important for creating mutual respect and trust,” he said. The conflict management committees did contribute to a more sustainable environment for returnees and host community members since it helped us work together on the land and made it possible to discuss problems and solve them instead of avoiding problems, which in the beginning created tensions among people that could have escalated into violence and mistrust. Hassan wants to continue being active in conflict management but also wants to participate in processing agricultural products so that he can sell them for higher prices on the market.